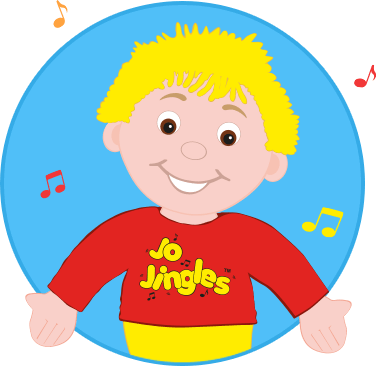 Hi, I’m Bethel and I’ve been teaching Jo Jingles for around 12 years, having originally taken my youngest child along to classes and took over the Jo Jingles County Down franchise in November 2014. I have two daughters and I’m married to Alistair (who helps with the Jo Jingles administration!). My eldest child Amy even taught the Saturday classes last year so it is a real family affair – we all love it! I particularly enjoy the interaction with the young children as well as the fun and friendship with the mums, dads, carers and grandparents. One other huge benefit of working with Jo is the daily workout so beware parents, our classes are not for the fainthearted. 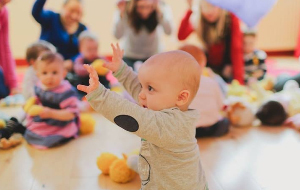 The fun-filled 45-minute classes for babies from 3 months and children up to five years of age combine a mix of singing, movement to rhythm, percussion instruments such as drums, cymbals and bells and help from our colourful and cheery doll mascot “Jo” who attends every class to inspire the little ones. Jo is the heart and soul of our classes. He is extremely friendly and actively participates in all of our classes. 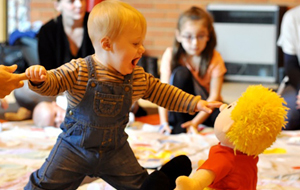 At the start of each session he welcomes all children with a smile, a wave and a cuddle. Then he might sing or dance or pretend to be a train driver, a monkey or even a teapot. I’ve been a Jo Jingles class teacher since 2002. I’m married with two children, a few cats and my favourite hobby is cycling! Why did I become a Jo Jingles teacher? "...because it's fun to watch everybody discover and learn the joy of music, whether they're a parent or a baby, it can always make you feel good!" Jo Jingles County Down have been doing sessions at Country Bumpkins for the past six years and all the children and staff enjoy it. Jo Jingles County Down have been doing sessions at Country Bumpkins for the past six years and all the children and staff enjoy it. They particularly love making lots of music with the different instruments and dancing around to the fun, lively music. A big hug and Hi five from Jo always makes them smile. 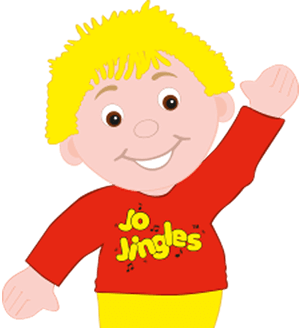 Jo Jingles helps the children develop good listening and communication skills while still having fun. I would recommend Jo Jingles to all Day Nurseries. My baby daughter Valentina absolutely LOVES her Jo Jingles classes and really enjoys the dancing, music and movement. My baby daughter Valentina absolutely LOVES her Jo Jingles classes and really enjoys the dancing, music and movement. She always comes out with a smile on her face and even though I don't always get to take her myself, I know the songs and sing them with her all the time. I can't recommend it enough for anyone to encourage musical ability and movement. I would highly recommend the Jo Jingles class organised by Bethel to anyone doing granny duties. I would highly recommend the Jo Jingles class organised by Bethel to anyone doing granny duties. My 3rd grandchild, James, is thoroughly enjoying his sessions with Bethel. 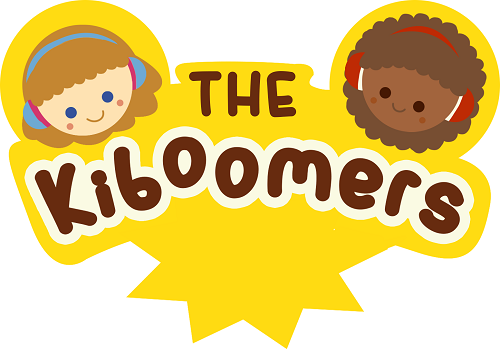 She is so good around young children, having a gentle, kind and caring nature which, blended with patience and fun, makes her a natural leader for a Jo Jingles class. My son has attended Bethel's class since he was one and a half. He just loves it! He loves the songs, the instruments and the new friends that he has made but he just adores Bethel. His confidence has grown and he never needs encouragement to join in. Bethel has a very caring and loving approach and so the children hang on her every word. As a P1 teacher it amazes me how she teaches such a young group with such control. 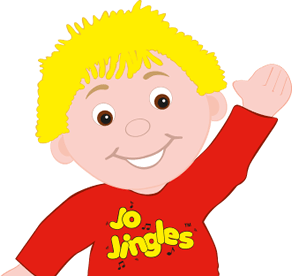 Jo Jingles develops rhythm, listening skills, coordination, social skills and rhyming skills. It is a great foundation for your child in so many ways and of course it is also great fun.